Phenomenal Family Adventure Vacation Trip! Where do I begin? Let me start by saying this was one of the most amazing experiences I have ever had. I had never rafted before so was a bit apprehensive but after having done the Southwest Sampler Adventure trip, I would totally do it again! 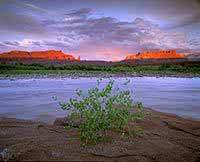 Moab is such a beautiful place. The Gonzo Inn is very art deco. My favorite part was the shower, ha! Very modern. The staff at the Gonzo was very pleasant. Hiking at Arches National park was phenomenal. My favorite trail was the Sand Dune trail. My daughter ran barefoot through the sand and we captured some beautiful pictures. The Windows hike was also awesome. Molly was great in discussing the history of Arches. Lunch at Canyonlands was good. The icing on the cake was the 2 day rafting with the overnight camping. The guides were awesome, the food was great and we met some great people. I even saw the big dipper the one night we were there. The rafting was so much fun. My 6 yr old daughter had the time of her life! Lunch after the rafting was great and the guides played water games with the kids. 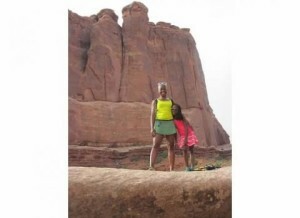 I look forward to visiting Moab again soon! Thanks for the great memories!